Before entering Assumption Seminary, David Chacko, a seminarian with the Archdiocese of San Antonio, graduated with honors from the United States Military Academy at West Point (USMA) in May of 2015 earning a Bachelor of Science in Electrical Engineering and commissioned into the U.S. Army Signal Corps, where he served as a junior officer for 15 months. David, who grew up in San Antonio, is the second child of seven children – six boys and one girl – of Benjamin and Rosemary Chacko. His father was born in India and grew up in Kolkata. His family immigrated to the United States when he was eleven years old. David’s mother was born in Chicago and grew up in Little Rock, Arkansas. This began a conversion experience for him which awakened a desire to follow Christ and make Him the center of his life. While enrolled at West Point, David began to feel a strong calling to the vocation of priesthood. “One day at mass during my first year, I experienced a profound attraction toward the idea of sharing the grace, joy and peace of Christ with others as priest,” he said. 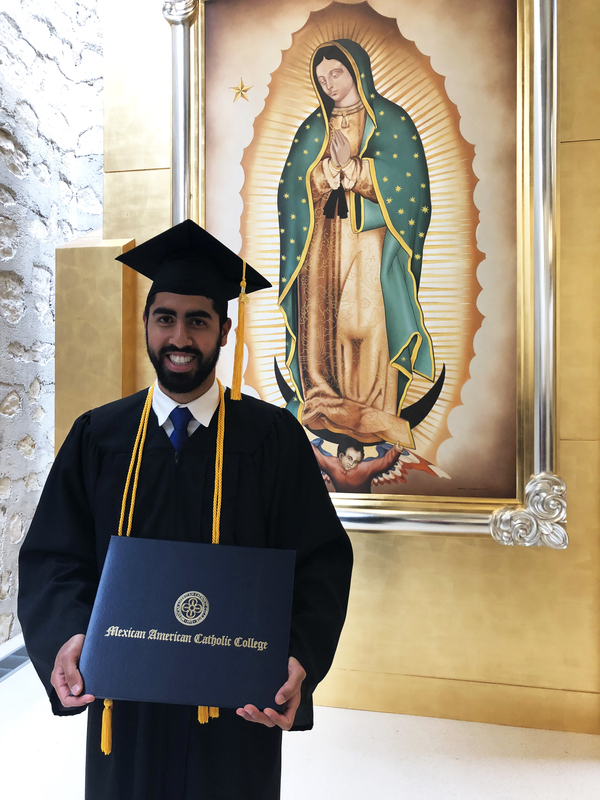 It took several years of deep discernment, when he answered the call and applied to enter Assumption Seminary. 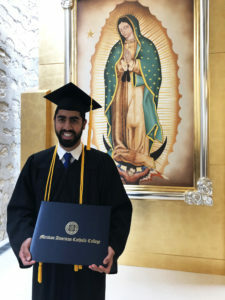 In the Fall semester of 2016, he became a first-year seminarian for the Archdiocese of San Antonio and began his Pre-Theology studies at MACC. He completed his studies this past Spring semester. Graduates from USMA have an obligation to serve for five years on active duty. Therefore, the current plan is that after he is ordained to the priesthood, David will serve time in the U.S. Army as an active duty chaplain. This upcoming fall, David will begin full-time graduate level studies in Theology at Oblate School of Theology.